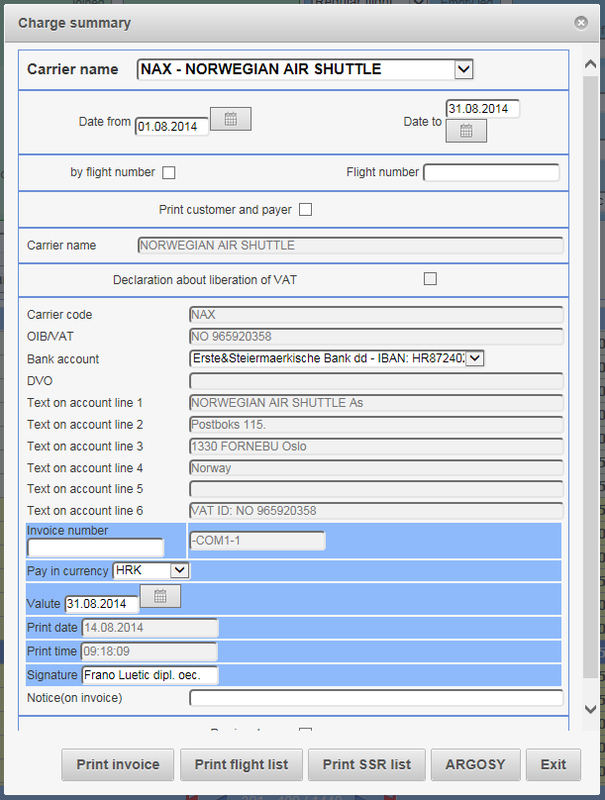 The program module ” Invoicing” is module that allows the user work with copies of bills, cancel a bill, entry and change the parameters needed to create the bill. 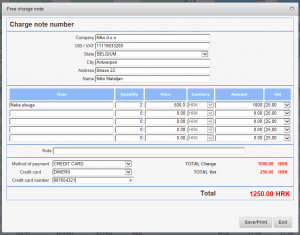 In module is a list required to create an bill such as a list of credit cards, exchange rates, bank accounts, holidays, working time , ” customers ” . 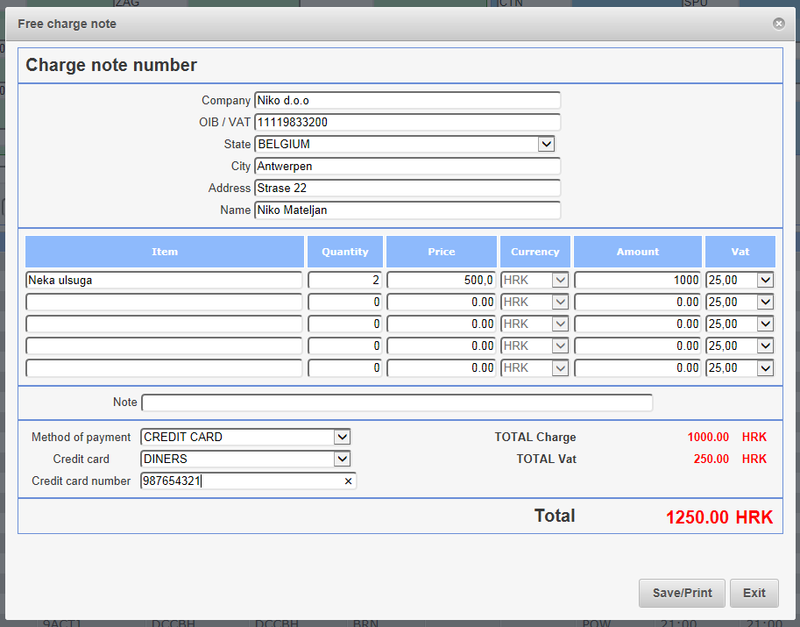 The module contains a list of backup bills that allows us to cancel a receipt and print copies of invoices . This module can be adopted to serve the needs of any user. 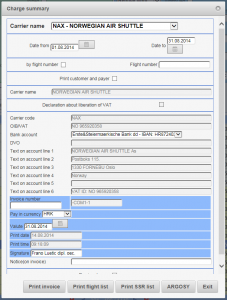 It provides the opportunity to make an invoice for a single aircraft operation or any other service, and to make an invoice for as many aircraft operations and services as necessary within any period of time.